It’s been a long time since I’ve written about Eva. So many people have told me in person how much they enjoy the updates that I do feel quite bad for failing to keep the news moving. I can’t quite say for sure the reason behind the hiatus, but I’m glad to end it. The big news for Eva is that on Thursday, June 29 Eva had the last clinic visit of her frontline treatment. We were looking forward to a non-eventful period of time leading up to her starting the long-term maintenance phase of her treatment on Monday, July 17. But, we had a couple of bumps along the road. On Monday, July 3, Eva was running a fever of 101 degrees by late afternoon. The medical policy for oncology patients like Eva is that any fever of 101 or higher requires a mandatory precautionary visit to Rady Children’s Hospital. If the oncology clinic is open they will see you there, otherwise you have to go to the emergency room for observation. To make matters a little worse, I was in a car accident literally at the same time when Eva needed to head to the hospital. The accident was relatively minor. I was the only one driving when a commercial van pulled out of a residential driveway and struck me in the moving minivan. I was unharmed, but the minivan had to be towed to a body shop for extensive repairs. The minivan is our only vehicle, so I took an Uber ride home and called a member of our congregation who quickly provided us with a vehicle. Audra left for the hospital as quickly as she would have even if I had not been involved in an accident. The first visit to the ER involved observation and lots of questions. The trip concluded with a dose of antibiotics and instructions for Eva to get rest. Audra got home that night at 1:00am. The next morning Eva had no fever so we concluded that whatever was making her sick must have passed. But as the day went on her fever returned until it crossed the 101 threshold again by dark. That night I drove Eva down the ER. Everyone was disappointed to miss our family visit to see the fireworks, but Eva got to see a number of fireworks displays out the car window as we drove through the Escondido and San Diego suburbs. The second visit to the ER involved further test, including blood work, a nasal swab, and a urine culture. The goal of these precautionary visits is to progressively test to determine what exactly is causing the fever. If it’s normal, run-of-the-mill stuff, they can send the patient home. But if it is something more serious, such as pneumonia or a central line infection, the medical team wants to know as quickly as possible. This is the sound rationale behind the 101 degree policy. After all those tests were taken they sent Eva and me home again. We returned to our house at about 1:00am again. Eva slept in quite a lot the next day and her fever never returned. We got word that day also that Eva had been diagnosed with RSV, a fairly common virus that causes moderate cold symptoms—including fever. We were glad to hear that the problem was nothing she couldn’t tackle on her own with rest and time. We were frustrated, though, with our reaction to the whole thing. Audra and I became very anxious very quickly and we didn’t treat each other with much patience or empathy. It had been such a long time since any sort of setback, and this was also the first time Eva had to go down for a fever check during her entire frontline treatment. I think we were frustrated that this little issue came up precisely when we thought we were starting the home stretch. I think we were also scared because these setbacks inevitably bring all of our previous fears to the surface. It’s shockingly easy to imagine the worst. Eva remains in great health, though. Her blood counts are consistently strong and her energy levels are completely normal. She’s been taking swimming lessons, going to our church sports camp, hitting the beach with her friends and siblings, and much more. All is quite well. She also crossed a major milestone on Monday, July 17. She had her first treatment of the long-term maintenance phase. The almost-weekly pace of chemotherapy has become a once-per-month visit. Virtually all of her medically-imposed limitations have been lifted. 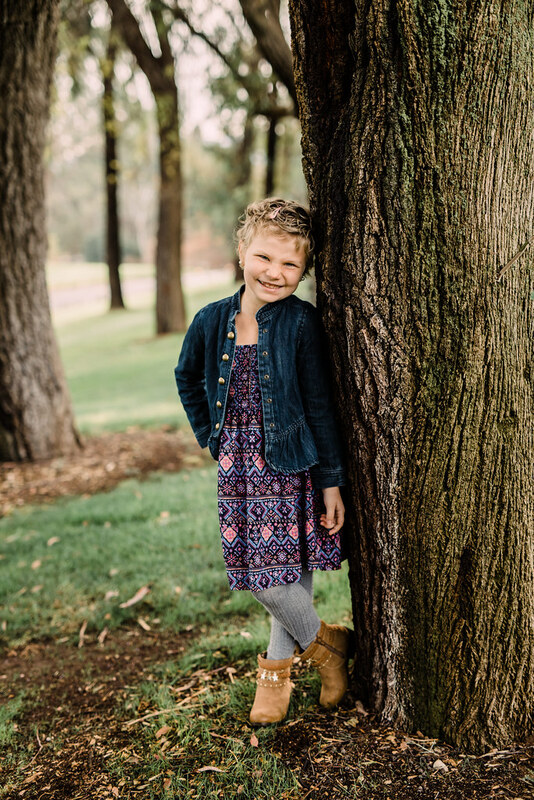 She can go about her life almost as normally as she could before leukemia. We’ll still maintain extra vigilance, but she is allowed to swim, fly in airplanes, spend time around other kids, and do most normal “kid things” again. It’s a great sense of freedom after so many months of staying close to home, avoiding crowds, and saying “no” to tons of fun ideas. We even got a vacation on the calendar for October. We really need one! Eva’s anxiety levels can still be high, especially at certain points of her visits. We anticipate that the sharply reduced frequency of visits will help her regain some sense of calm and control. We have also scheduled regular visits for Eva with one of the child psychologists at Rady Children’s Hospital. She’ll work with Eva through play therapy to build a rapport and help Eva to address some of her anxiety. We’re also dialing back the “be careful” language in our house. Eva’s genuine interest in keeping clean and healthy sometimes appears to cross into fear and obsession. We’re having to remind her that she doesn’t have to be as careful as she used to now that her immune system is not under the same duress it was during the past half-year or so. At this point our biggest fear is relapse. Although the likelihood is relatively small, there is always a chance that the leukemia could return. It’s hard to even mention it because the thought of slipping back to the days of a fresh leukemia diagnosis is terrible. Nevertheless, we cannot live in fear—nor should we. Eva has received excellent treatment with tremendous results. She has demonstrated resilience throughout the process. Our family worked hard to support her health as much as possible. God has blessed our efforts beyond even our hopes. As Christians, we often find it hard to grapple with Biblical concepts like “heaven” or “eternity.” We can only really describe these things by pointing out what they are not. I used to feel that such an explanatory method was inadequate, but I think that has changed. I now know what it’s like to have genuine, deep-seated fear. Those fears surface time and time again, especially when a temperature runs over 101 degrees. It’s impossible for me to grasp the kind of fear that the Lord Jesus endured on the cross. The terror he faced in bearing my sin (and the sin of the world) cannot be described except to say that it was equally infinite and real. It was that terror that brought a new reality for me and all believers in him—he has consumed every fear so that in his kingdom there is no fear. Relapse cannot terrify us because relapse will not have the last say—the death and resurrection of Jesus Christ does. He is making all things new, including us, including Eva. Jesus didn’t die to let something like cancer win the day, he didn’t rise to let something like fear govern our hearts. It was wonderful to read this. I appreciate that you took the time from your busy schedule to write it, especially the living without fear application. It’s so hard when you’re in the middle of something to have that fearless outlook. It takes retrospection see it.